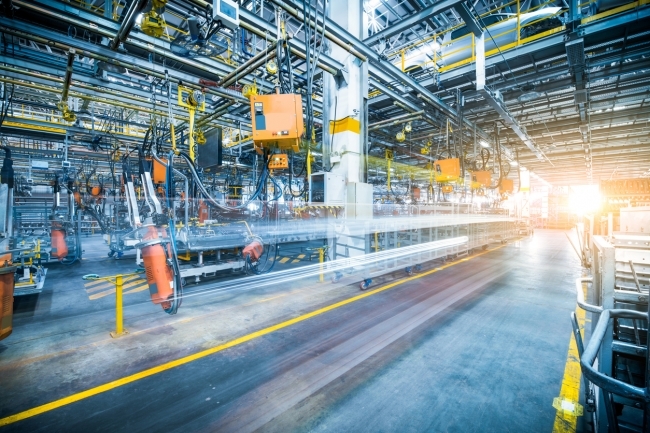 Britain’s manufacturers have sharply applied the brakes to their investment plans in response to growing political uncertainty at home and rising fears of the impact of global trade tensions, according to a major survey released today by EEF, the manufacturers’ organisation and Santander. 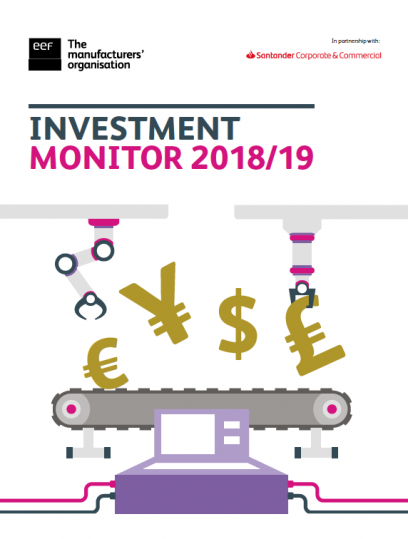 The annual EEF/Santander Investment Monitor shows that in the last two years the proportion of turnover investment by manufacturers increased on the back of a robust growth picture in the world economy. 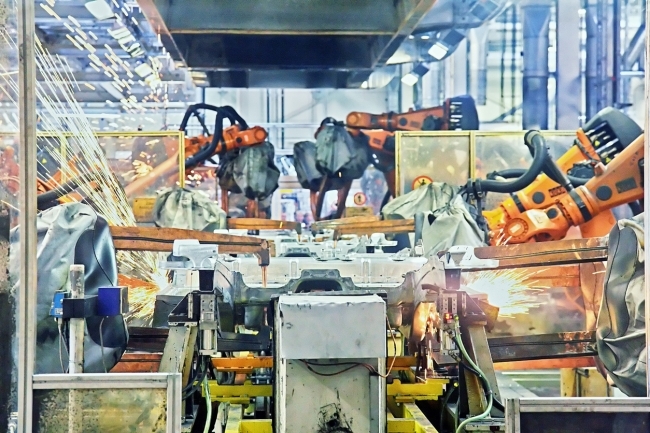 Looking forward, however, the picture is somewhat different with just over a third (34%) of companies planning to increase their investment in plant and machinery, the lowest figure in the survey’s five year history. This sentiment is especially pronounced for small companies where three quarters of companies are refraining from increasing their investment in the coming two years. As a reason for not investing, just under a third of companies (30%) are citing political uncertainty as a reason (up from 17% last year) whilst order book uncertainty has risen significantly over the last year (23% to 36%) in response to the cocktail of domestic and international forces. In particular, almost a fifth of companies (17%) are holding off their investments due to a lack of clarity on Brexit. According to EEF, the brakes on investment will have significant impact on attempts to improve the UK’s productivity performance because the opportunity costs of this lost investment are significant. This will likely widen the UK’s capital gap even further with our competitors who are nor spending their time dealing with the political and economic complexities of leaving the EU. The survey reveals which aspects of companies’ investment plans have been most susceptible to Brexit-related uncertainty – just over half of companies (51% said investment in plant and machinery had been put on hold because of Brexit negotiations and over a third (36%) have shelved plans to invest in new and improved buildings. Other areas of investment are not immune with a significant proportion of R&D programmes and IT systems on hold. These plans will be to the detriment of efforts to get the UK’s flat lining productivity performance back on its pre-crisis trend. In addition to manufacturers recognising that, on balance, investment has barely been sufficient to avoid more recruitment to meet capacity requirements, the survey also shows that investment challenges go further than political uncertainty. For example, hurdles to new technology adoption are especially pronounced amongst smaller companies who feel they have not been investing enough to keep at the forefront of technological change. This has important implications for the fourth industrial revolution given almost 40% of companies with a hundred or fewer employees said they would have prioritised investment in plant and machinery, a key factor in being at the forefront of technological change.